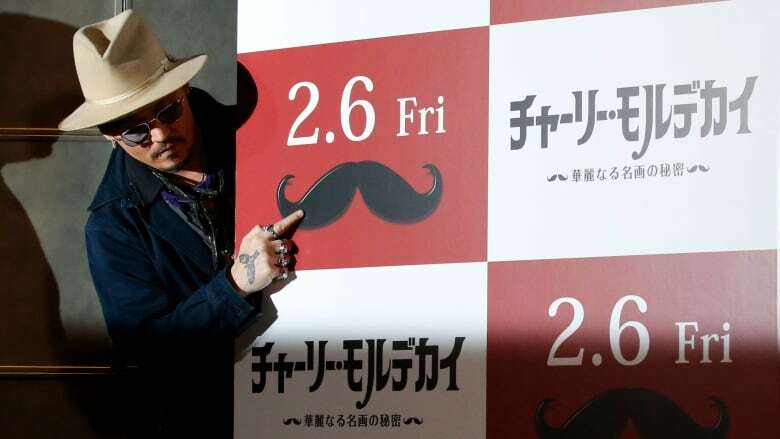 Johnny Depp, the 51-year-old star of Mortdecai, told reporters in Tokyo he missed the previous day's news conference due to an attack from a mythical beast. Depp channelled his Charlie Mortdecai character, drawing laughs from the crowd. (Toshifumi Kitamura/AFP/Getty Images)"I was attacked yesterday morning by a very rarely seen or experienced animal called 'chupacabra.' I fought with it for hours. They're very persistent, very mean. And I'm pretty sure it came into my suitcase. I threw him off the 23rd floor. So we'll never see him again. Thank you for understanding," he said. The chupacabra is a legendary creature rumoured to inhabit parts of the Americas. More than 200 journalists were kept waiting for an hour before organizers cancelled Tuesday's event because Depp was unwell. Mortdecai, an eccentric heist comedy, tanked at the box office, making an estimated $4.1 million in North America and $5.2 million elsewhere last weekend. Mortdecai will be released in Japan on Feb. 6.